that as the market moves higher….ad line is in declining mode. 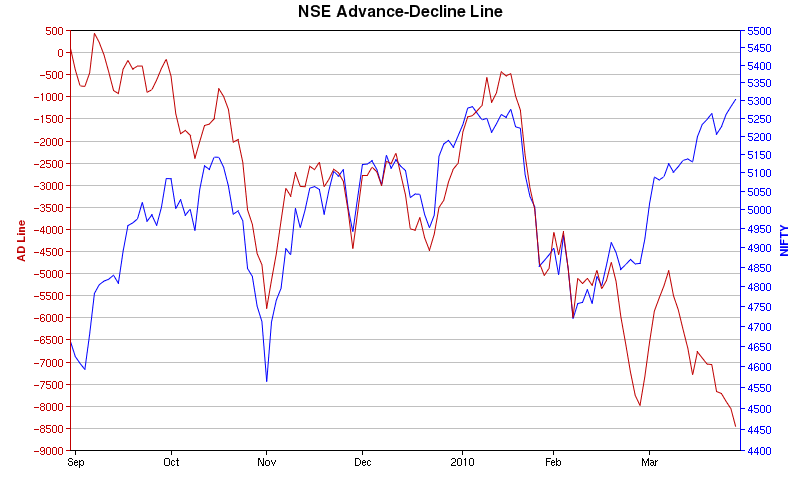 This suggest that more number of stocks are declining and only few stocks are pumping this market higher. 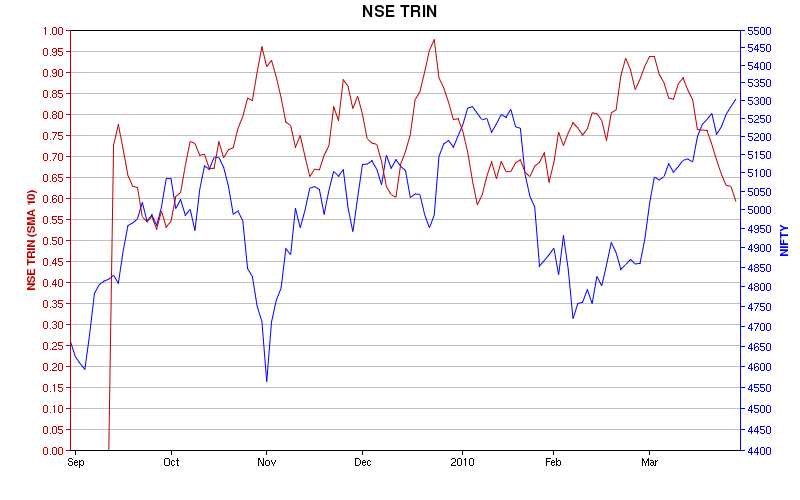 From the trin charts you could see that 10 day SMA of trin is in declining mode which suggest that volume is more in Advancing stocks and very less in Declining stocks. And the traders are very skeptical in stock specific. stocks. Still Now markets also not cracking the supports as of now. such type of action could be used to scare people who are holding their long positions and make then exit from the market before the markets make newer high.